Anything Goes On Sunday – and this is a very special Sunday! A day to celebrate grace. I am very conscious of God’s grace in my life. I sit back and smile when two of my blogging buddies who are blogging about various cities in the world for the A to Z Challenge, seem to have ESP. Yesterday was the third time they both blogged about the same places! However, both their journeys are different and really interesting. Do read Debbie The Doglady and Eli of Expatliv. Also part of the A to Z challenge are these two lovely ladies, Beloo Mehra of Let Beauty Be Your Constant Ideal who is blogging about education in India and Sunila Vig of Between You and Me who is blogging about Yoga. Do visit them. I am glad to have connected with Stephanie Faris and author whose new book 30 Days of No Gossip seems interesting. Stephanie is blogging about indulgences through the A to Z. And then there are old favorites like Proactive Indian who always makes one ponder on simple, yet profound truths. Don’t forget Laurel Regan’s Gratitude List. The story: Grace May is actually excited about turning forty in a few months. Now that her boys are both in school and she has a stimulating new writing job, the next chapter in her life can finally begin. She can’t wait to rediscover the intelligent woman buried under the layers of mother and wife. But when Grace suddenly loses her job and receives unexpected news, she stands to lose everything: her marriage, her best friend, and her sense of self. By her fortieth birthday party, Grace will realize who and what matter most. With laughter. With tears. With grace. Entirely believable, On Grace is a fun read, which any woman having a ‘big’ birthday can identify with. However, Grace’s life gets even more complicated when she turns 40. How she handles this is really well told by Susie Schnall. The book is fast-paced and really quite a fun read. You know how this works – if you wrote a post today – 20 April – leave a comment and add a link to your post. Thank you Corinne for this post. Hope you had a good Easter. On Grace sounds interesting. i love your recommendations. I’ve missed out visiting Sunila’s blog , will hop right over. Thanks for sharing today. I love the quote “Be a fountain, not a drain.” That really resonates well with me. Take care and best wishes to you! Hi Corinne; Just left a comment here, but it has disappeared! Anyway, just wanted to say I enjoyed your book review. Love the comment as well! Thanks very much for the mention too. I’ve been checking out Eli’s posts and the others you highlighted. Hope you had a lovely Easter and may you have a great rest of the week. Cheers! Hi Corinne; Interesting book review. Love the fountain quote. 🙂 Thanks so much for the mention! 🙂 I’ve been checking out Eli’s posts as well as the others you highlighted. Have a great week! Sounds like a good book. Will check it out. 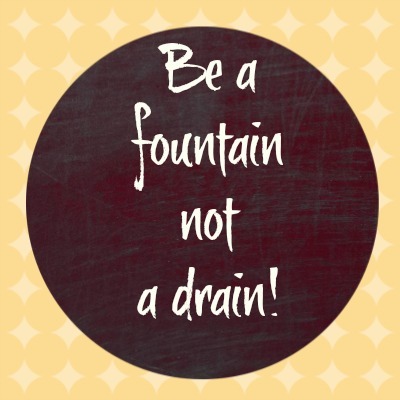 Love the quote – be a fountain not a drain. I’m a little behind on my A to Z, but I love your grace post. I have to remind myself a lot, or rather God has to remind me, that He gave his Son as a free gift, hoping that we would give ourselves in return. It isn’t some mandatory contract and God isn’t some tyrant; He’s our Father, and He wants what is best for us. Checking your Sunday post on Monday – yes, the net trouble continues at home, some cable problem in the neighborhood it seems. But had to check your blog for the R post today and found this “graceful” post on Grace. Thank you so much for your kind mention, and for all the other tips and resources you have shared here. I love the word “Grace”, and in fact my husband and I have named our humble home “Grace”. I sometimes feel it is a word that keeps on blessing and giving even when we simply speak of it with an open heart and remember the essence of it. Hope you had a nice Easter celebration. May you and we all continue to feel the Grace…. May you always be happy and blessed with grace. Happy Easter to Pablo, Jose and you! I’m honoured that a veteran blogger like you considers my 10 months old blog an “old favourite”! I’ve read Beloo Mehra’s blog. It’s impressive!! I will visit the other blogs later today. Happy Easter Corinne. My curiosity about Grace has aroused. I have already ordered the book. The quotation is unique. Loved it. Hope you had a pleasant day today, Corinne! Grace is a beautiful word! Loved the “friends with benefits” mentions. Have a great week ahead! Happy Easter once again! Thank you for another resourceful post. I have been following Debbie, Sunila & Beloo. They are really insightful. Grace is what my mother also values a lot and says any thing will turn out well if done with grace and handled gracefully. 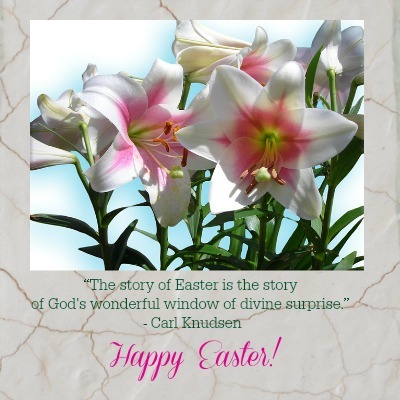 Happy Easter to you and your family once again.